Listening to Gary preach on Philippians 3 I was reminded of one of it’s central themes: confidence. Paul mentions it several times. For we are the circumcision, who worship by the Spirit of God and glory in Christ Jesus and put no confidence in the flesh — though I myself have reason for confidence in the flesh also. If anyone else thinks he has reason for confidence in the flesh, I have more (vv. 3-4). Now our society is brimming with admonitions toward self-confidence. In fact that seems to be a lot of what people are looking for. They want to feel good and feel confident. They want some stability. 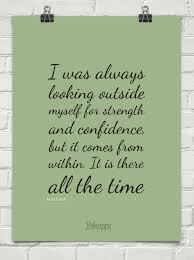 Most admonitions toward self-confidence tell you to “look inside” for all that you need. The myriad of voices in our culture falsely shout the lie that “deep inside you is the power to do whatever you want.” So we go digging and find that at our core we are never enough. Many people have reason to be confident. Some are confident in their ability, their resumé, their accomplishments. Others are confident in their looks or personality. Maybe it is pride in one’s heritage and upbringing. Paul has met some of these people. They are mainly proud of their special calling as God’s people. They think their religious observance gives them confidence before God. Paul is blunt. He says that he has more reason to be confident and proud than any of them! Paul lists his accomplishments (vv. 5-6). What is striking is that many of these things would have been viewed as really good things. He even lists his sincerity and zeal! All of these things (even the good ones!) are no true source of pride and confidence. If I am standing on anything other than Christ, I am destined to fall. Even my sincere morality and religious adherence are nothing without Christ. At the end of the day, if my confidence only comes from within then it is not enough. I am not strong enough or good enough or faithful enough or sincere enough. If I dig too deep in my heart, I find out that the well of confidence is dry. That is why I need a source of confidence that is overflowing, unending, and perfect. Paul says that such a confidence can never be based on one’s own abilities or accomplishments but only in the “righteousness that comes through faith in Christ, the righteousness from God” (v. 9). I find it a much more freeing concept to know that I don’t have to conjure up strength and confidence. I am relieved to know that I can turn to God rather than to myself. My confidence is not within, it is in a far better place—the finished work of Jesus Christ. That is a true confidence that never fades or fails when I come up short in my own strength.